Shuffling through a startline throng more reminiscent of the Etape or the Marmotte than a spring outing in the UK, I shivered a little. The cold maybe – or was it nerves? Probably the latter, I reflected, as I fought to recall the last time I rode 100 miles. Sometime last summer? More worryingly, the last time I’d ridden even half that distance, I worked out, was about six months before. 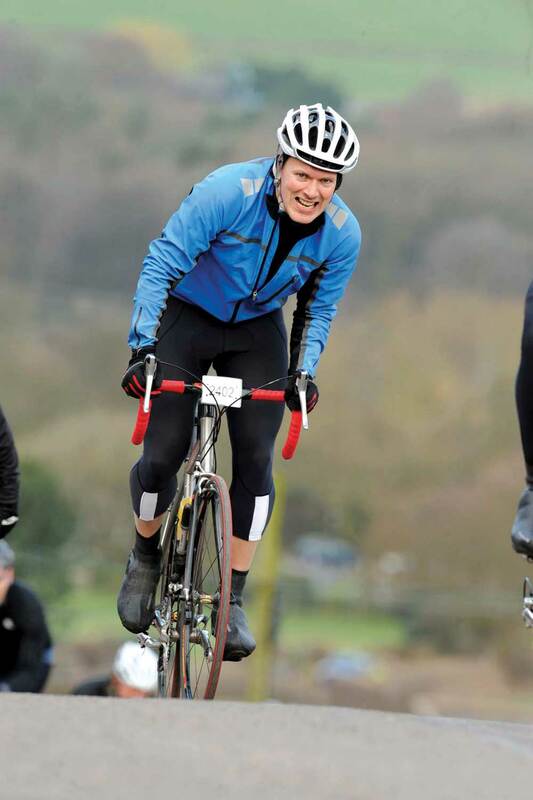 The season’s first big sportive deserved more respect than that, and so did my body. I envisaged the pitiful scene some eight hours’ distant; me trundling in miserable and battered, barely able to walk, staring down the barrel of a 200-mile drive home. I quickly replaced it with merrier things – it was too late to back out now. Despite the 2,700 people entered into the event, the startline queues were quickly dispersed, and once under way it was the thrill of being part of something so big, and on a pleasant day too, that seemed to pervade all and sundry. The bunches were initially very large and as we coasted north-east with the wind at our backs, the progress was easy and the banter hearty. Event organiser Kilotogo, with Geoff Saxon at the helm, had changed the route somewhat for this fourth edition of the Cheshire Cat. 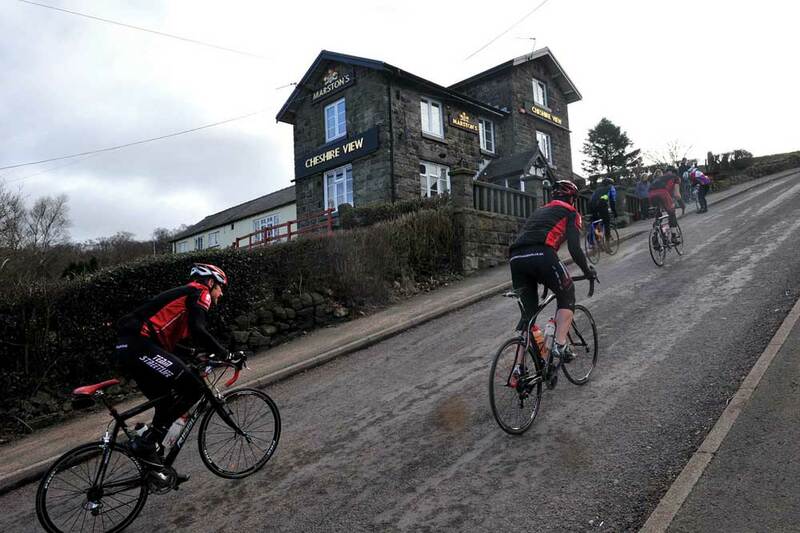 The climb of the Mow Cop ‘Killer Mile’, which is actually over a mile long and culminates in around 100 metres of dead-straight one-in-four, has become an event icon, with medals handed out to all those who complete it without putting a foot down. Last year it came at 60 miles, which was evidently too much for many, so for this year Saxon had generously placed it at 15 miles in, giving more people a chance to bag some silverware. I was a little blasé about it initially. 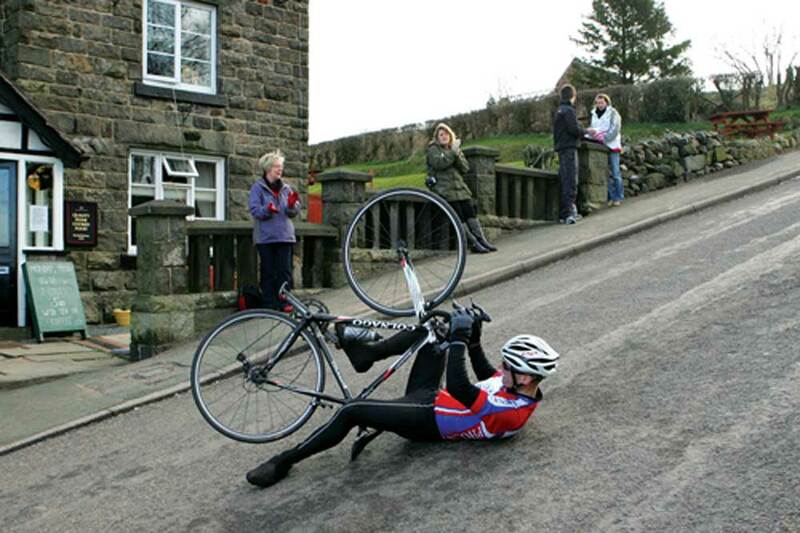 After all, we’ve all ridden steep stuff before, haven’t we? However, if I ever do this event again, I will be respectfully wary of what is to come until Mow Cop is behind me. It took every shred of effort from every muscle in my body to secure that medal. Riders were afforded some respite once over the top, as views across the edge of the Pennines opened out and we descended on fast, twisting roads with great surfaces and little in the way of traffic. What a change from Surrey! Other major ‘appointments’ came in the form of the Blacky Bank and Bridestones climbs, challenging taken individually but little more than a relief in the face of Mow Cop’s gradients. Scanning the increasingly blue-daubed horizon, there was plenty to see, including the impressive Lovell telescope at Jodrell Bank, which itself has a sportive named after it that ran a few weeks previously. It studies the sky from the Cheshire plains – and that was where we were heading (the plains, not outer space). Having completed the hilly section, we looped around to face south-west and right into the teeth of a cold wind. From here things became significantly harder, and I’m afraid to say I did my best to conserve every last drop of energy and hide in the wheels where possible. On the odd section where I did find myself alone, the pace slowed to a crawl as the wind bit into my non-existent reserves of endurance. There was plenty to make up for the hardship though. For a start, the weather. Despite a midweek forecast of blanket rain, much of the time only scudding white clouds permeated the blue, and there was nary a drop to be felt. As a cyclist, when you’re expecting a soaking, a turn of fortune such as this can induce feelings of elation and well-being that far outweigh any leg pain, at least for a while. Of course, the chilly headwind wasn’t ideal, but you can’t have everything. 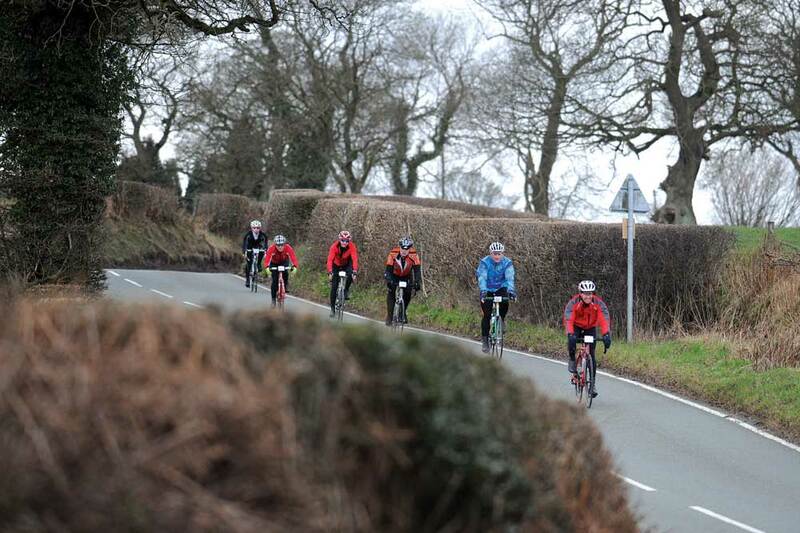 Wheeling around at the bottom of the course for the final 20 miles or so saw us once more with the wind behind us. My legs were miraculously still intact, and with the average speed rising all the time, joining a variety of small groups along the way, I blazed a trail along the last leg back to Crewe. A word of praise should go to the organiser, Kilotogo, for some of the best event organisation I’ve come across. From the superb event HQ at Crewe Alexandra stadium, to the clear and copious route signing, to the sausage rolls (oh yes, sausage rolls) at the second feed. It was all extremely well executed. 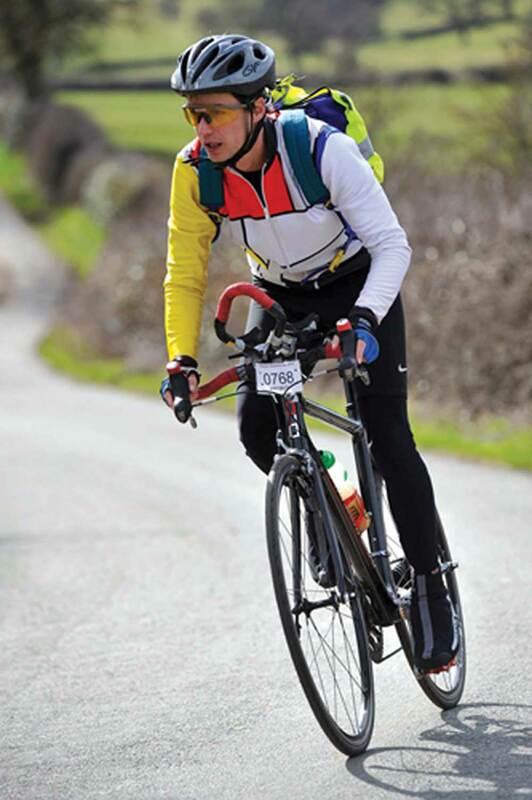 “A GREAT course for the early season with some challenging hills in the first half of the course, followed by a flattish 65 miles that fully tested my limited speed endurance. “I was aiming for less than six hours and by holding on for as long as possible to some fast moving groups, I was just able to meet my target. Sunday March 27. Stick it in your diary and bookmark www.kilotogo.com.